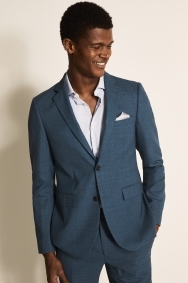 Go-to blue for any occasion. 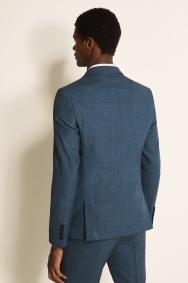 Whether you’re heading to the office, a wedding or another social event in your diary, this summer blue suit is an eye-catching and on-trend choice. 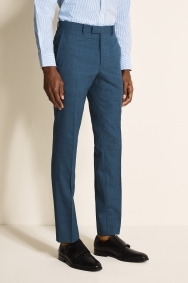 The slim fit is form flattering, cut narrower through the shoulders, chest and legs to create a sharp, modern profile. 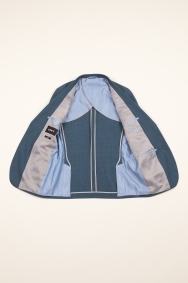 Designed with busy days in mind, the jacket’s 100% wool construction and half lining will help keep you comfortable. Create a bright and clean look by opting for a white shirt and a light-coloured tie. Be more daring with your tie choice if it fits the occasion. 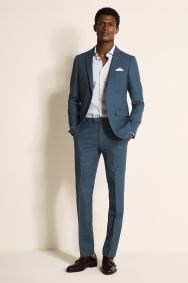 The suit is for a June wedding, I wanted a lightweight and summer colour suit that looked smart as well as fitting me. 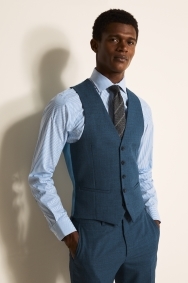 Moss Bros was perfect.